A police forensic team combs the debris at the site of the CTV building in central Christchurch on 26 February 2011. This was one of the buildings most severely damaged in the earthquake that struck the city four days before this photo was taken. 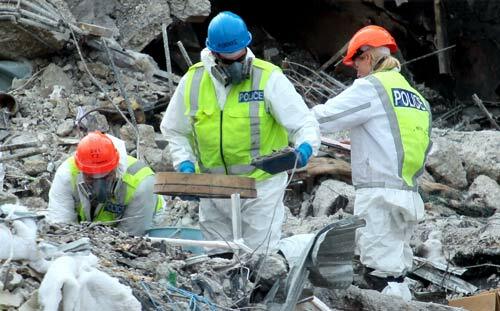 A key function of police forensic operations after the earthquake was to locate and identify those injured or killed.